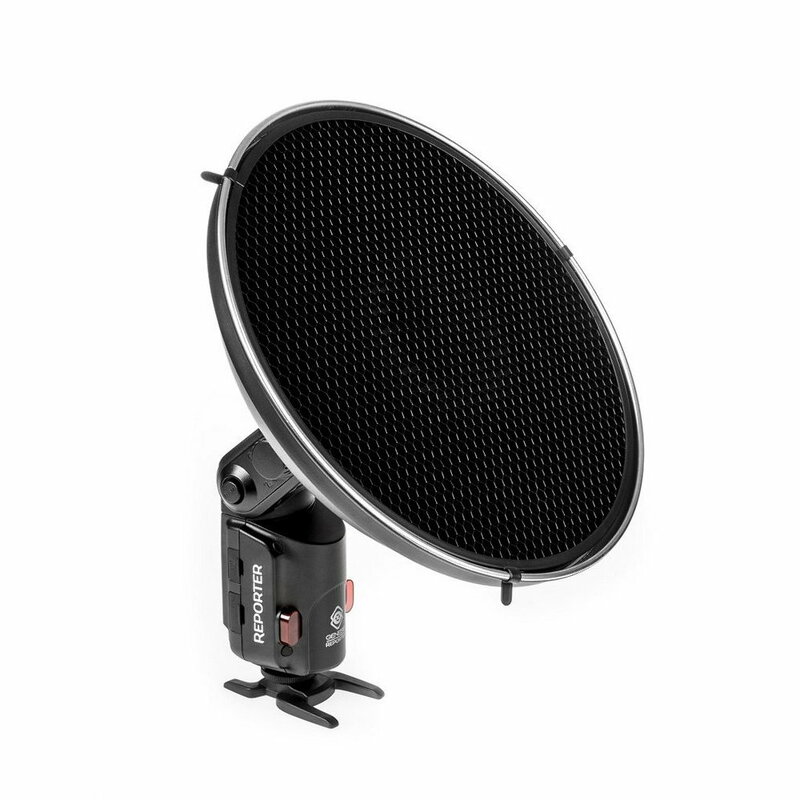 Beauty Dish reflector inner surface is covered with a silver, highly reflective finish. 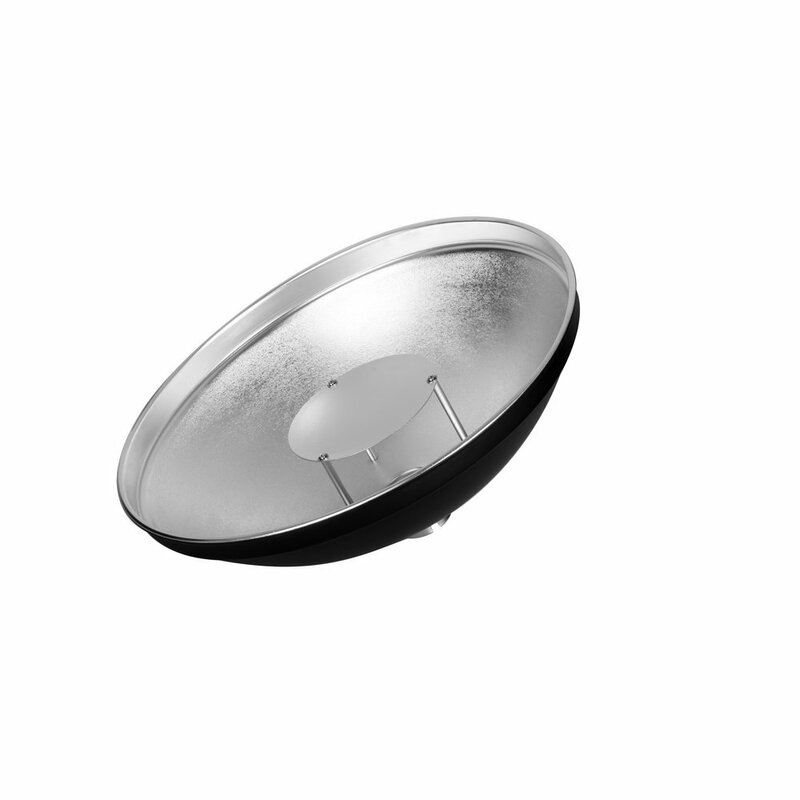 Central diffuser mounted inside dissipates the light coming from flash evenly on the reflector surface. 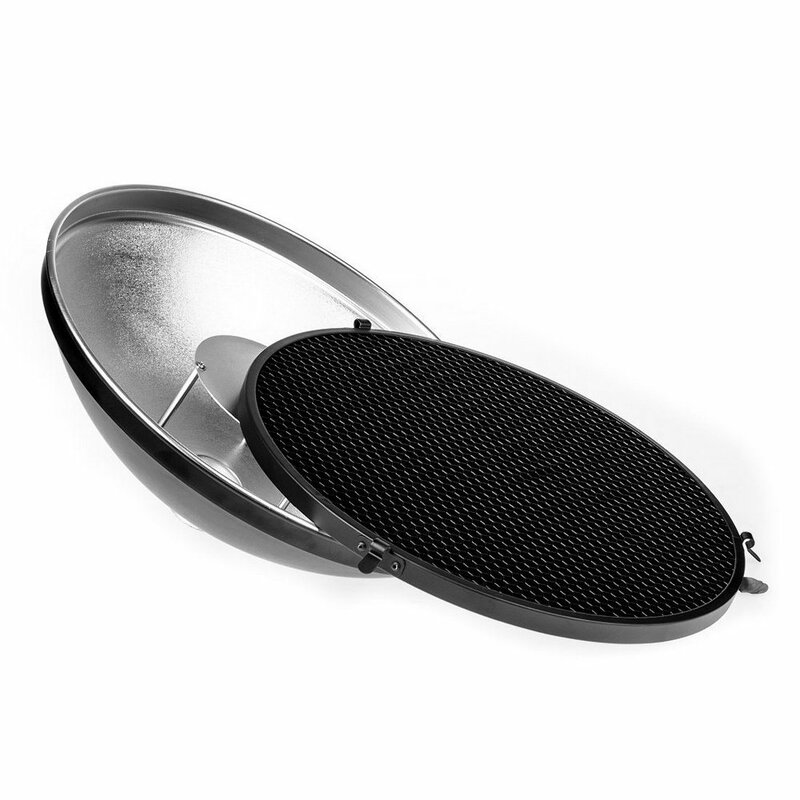 Thank to this design Beauty Dish gives a very sophisticated light characteristic and very natural round-shaped reflections in the eyes of the subject. Light is more contrasty in comparison to traditional softboxes with a nice and crisp shadow/highlight definition. Reporter is made entirely from aluminum alloy and comes with additional honeycomb grid and white, transparent diffuser.